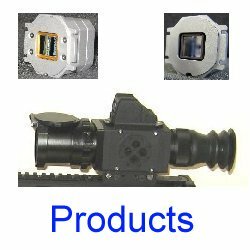 TapIR640 and TapIR384 Rugged and compact shutterless 640x480 and 384x288 LWIR camera cores. SpIR640-LR 640x480 Lightweight Long Range Thermal Monocular. Infrared performance modelling, optical, mechanical, electronic, FPGA design.